TORKEL® 840 – UTILITY is used for battery systems ranging from 12 to 250 V – often encountered in switchgear and similar equipment. Discharging can take place at up to 110 A, and if higher current is needed, two or more TORKEL 840 units, or extra load units (TXL), can be linked together. 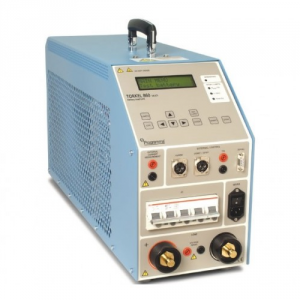 Tests can be conducted at constant current, constant power, constant resistance or in accordance with a pre-selected load profile. TORKEL 860 – MULTI is designed primarily for people who travel from place to place to maintain battery systems having different voltages. It features excellent discharging capacity plus a broad voltage range and outstanding portability – a unique combination.